Got a busy schedule and no time to spare for daily cooking? You sound like so many of us at The Produce Box! That’s why we’ve recently started using week-by-week meal planning. Sitting down to plan the week’s meals, buying in bulk and then making meals all at once should only take you a couple of hours. This cuts out the 30+ minutes of cooking you’d be toiling everyday, giving you more time to spend with your family in the evenings. It also allows you to consider fresh food in your weekly mix of meals and eat healthier at the same time. Plus, meal planning saves you money by eliminating the desire for takeout in moments where you just don’t feel like cooking. Here are a few tips to guide you through the process, from planning to shopping to serving. If you don’t quite know where to start, look for new recipe ideas on our Pinterest page, Tasty or TODAY Food. Subscribe to Real Simple’s daily recipe newsletter, bookmark the Food Network’s recipe section or check out Gordon Ramsay’s recipes playlist on YouTube. Make a mental or physical note throughout the week of items you want to try, then bring them to the table as you start planning out your week. The best way to establish a new habit and stick to it is to repeat the same system several consecutive weeks in a row. So first, set a specific time frame to do your weekly meal planning—for example, Saturday with your morning coffee, or right as you welcome in the weekend on Friday evenings. Use a weekly planner or calendar to plan out meals. If you’re particularly tech-oriented, make the system streamlined with Google Sheets or a list-taking app like Todoist, Wunderlist or Out of Milk. Evernote even has a helpful meal planning template you could use. 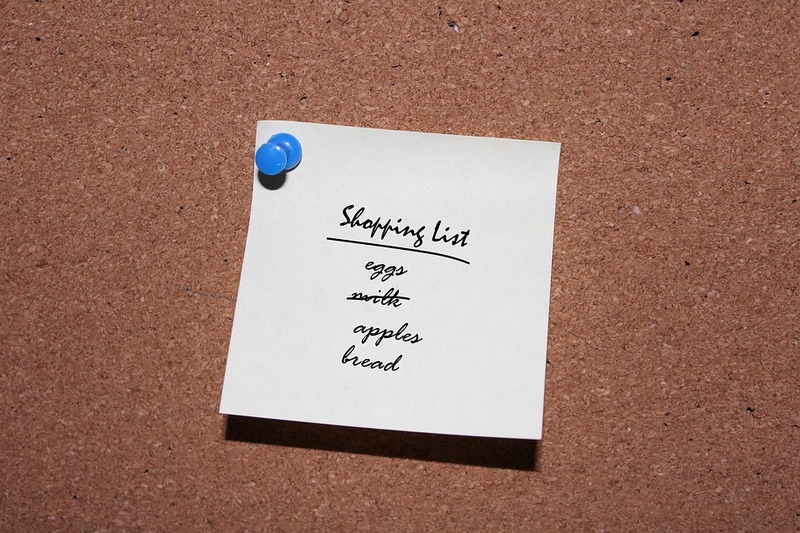 Color code the items on your list into one group, or add emojis as bullet items for easy reading as you’re grocery shopping. Recurring items are snacks or canned goods that you know you buy on a regular basis, no matter what you’re eating for the week. Recurring meals are your favorite recipes that you eat once or twice a week. For example, if your kids are always asking for green bean casserole and mashed potatoes, add this to the recurring list. These items are more frequent than one-time purchases. The other side of the list includes new recipes you want to try out or items you don’t buy on a regular basis. This could include a new mexican rice recipe you found in Southern Living or a brownie recipe your friend recommends. Eventually, you could end up adding them to the recurring list if you know you want them regularly. This system makes it easier and quicker for you to grab things at the grocery store when shopping. Don’t forget – our online menu offers a favorites feature where you can “heart” items you order regularly for easy access! 4. Always consider perishable food storage in your weekly plan. Plan according to expiration dates or “use by” recommendations in your weekly reminder e-mail from The Produce Box. Items that cannot be frozen should be prioritized in your menu early in the week. For example, lunch salads should be planned for Monday and Tuesday, rather than Friday and Saturday. Don’t hesitate to freeze some items. According to the U.S. Department of Agriculture’s food safety guidelines, any poultry, fish, ground meats and variety meats should be cooked or frozen within 2 days. Other beef, veal, lamb or pork should be cooked or frozen within 3-5 days. To keep the quality, wrap the original meat and poultry packaging in foil or plastic wrap. 5. Schedule a prep time and stick with it. Many people choose to do most of their meal prep on the weekends, allowing some extra time here and there to prepare fresh meals that don’t reheat or store easily. 6. Try quick and easy recipes. When you’re first establishing a meal planning system, you might want to stick with easy meals first. Don’t make it complicated. 7. Save money and time by planning for leftovers. Save items that are easily reheatable for lunch or breakfast the following day. If you don’t finish off the ingredients to any one meal, carry it over to next week’s plan. The idea here is to maximize the use of what you have. You should always plan for having extra ingredients on hand to reuse. This also saves you money. 8. At the end of the week, eat all that’s left. Take stock of your fridge and pantry at the end of every week’s cycle. Clear the fridge of all perishables that require immediate attention. Serve up these items for “leftovers night,” then make a note of which leftovers were less popular among family members. Leave these items out of the next week’s plan. 9. Set up favorite meals on a schedule. Rotate your most-loved meals on a recurring schedule. For easier planning, you can set them to repeat every week on the same day, i.e., Taco Tuesday, Whole Wheat Pasta Wednesday, Sirloin Saturday. This eliminates the need for you to spend time creating a whole new menu for that day each week. 10. Make notes on what works and what doesn’t. At the end of the week, do a review of the menu. Repeat what worked, scrap what didn’t. Keep it constructive, and remember—simplifying your process makes it easier to follow in the long term.